On day 23, we're giving you the chance to upgrade your system memory by winning a 16GB kit of Crucial Ballistix Sport DDR4-2400 dual-channel memory. And guess what? We have five such kits to give away! The competition winner will be picked at random from all eligible entries that arrive by 09:00 London time on the closing date, January 9, 2018. 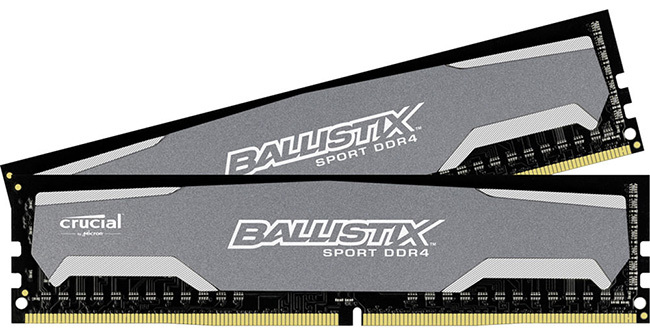 The prizes is one of five 16GB kits of Crucial Ballistix DDR4-2400 dual-channel memory. Now that's something I could really use. If I win this I will build a PC around it. Would be amazing to win one, considering the huge jump in price of ddr4. Same, especially now that RAM is so expensive.